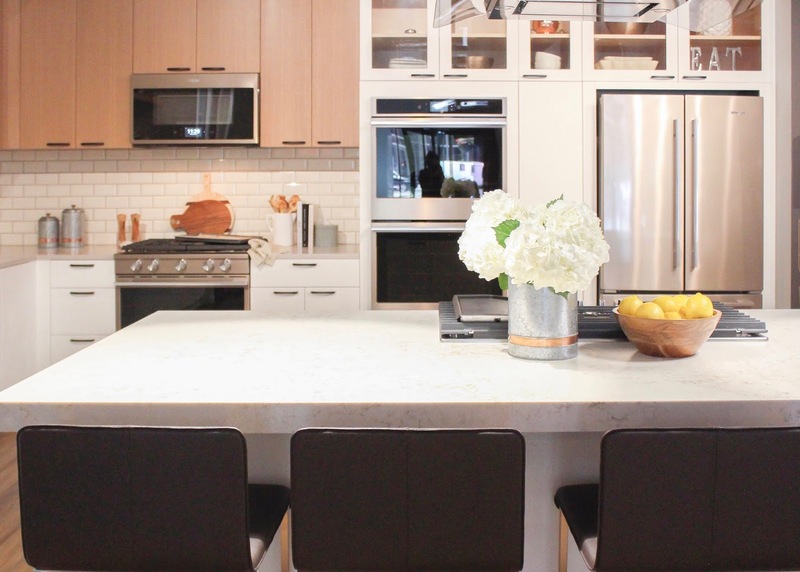 When it comes to the kitchen it is very much the hub of the home. We spend so much time in there whether it's preparing food, entertaining, sharing meals and of course cleaning up that you want it to be a space that you love and enjoy being in. 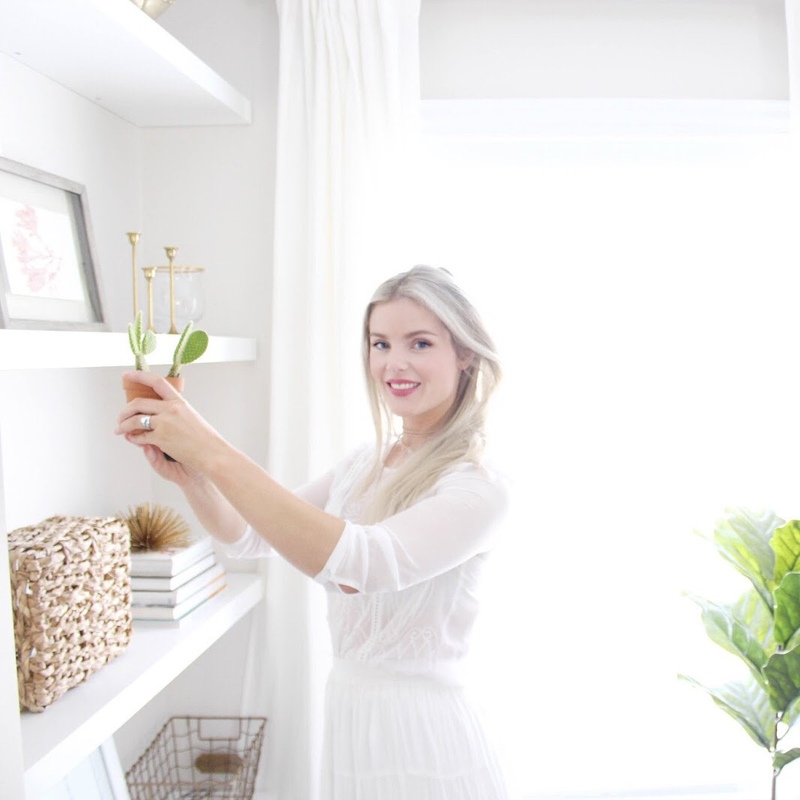 I often get asked by readers and design clients what are some tips for making the kitchen as functional as possible but also look great at the same time- I mean that's the goal right? 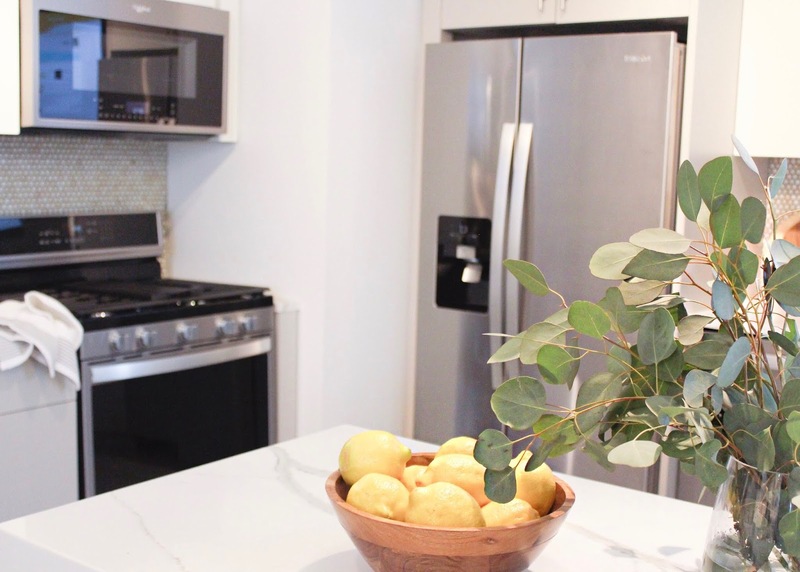 We want a kitchen space that performs for us in all the ways we need it to but also blends seamlessly design wise with the rest of the home and the appliances you choose are a big part of that. 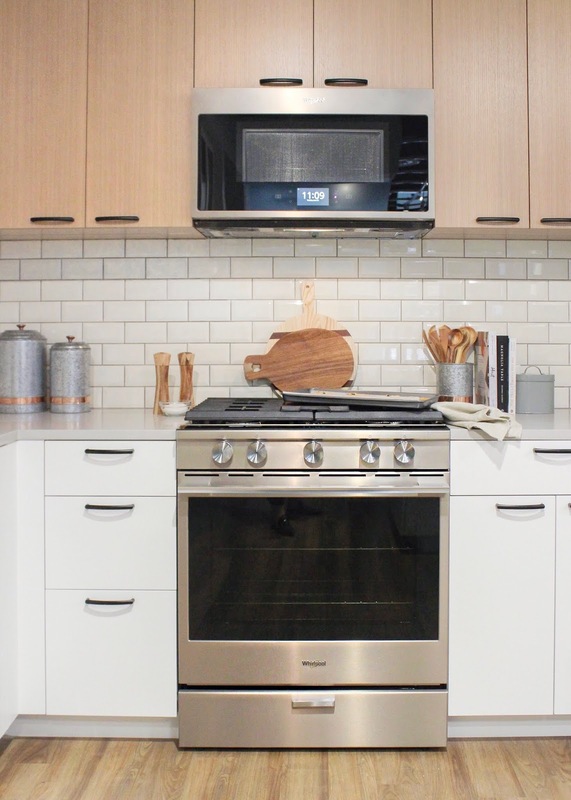 Back in June I traveled to Chicago with Whirlpool Canada to check out some of their new appliances and the process behind creating them. 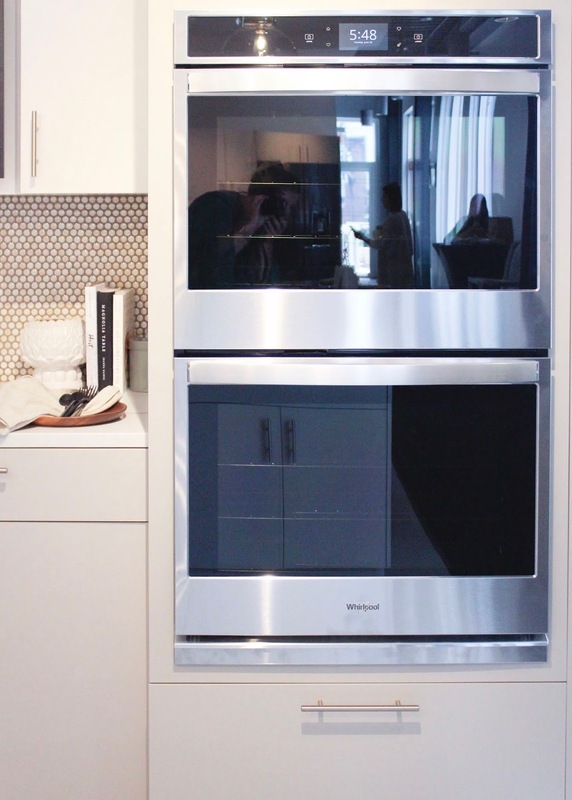 It was really interesting to hear about all the motions they go through to ensure their appliances work well for you and your family, and are functional pieces that perform in all the ways you need them to on a daily basis. 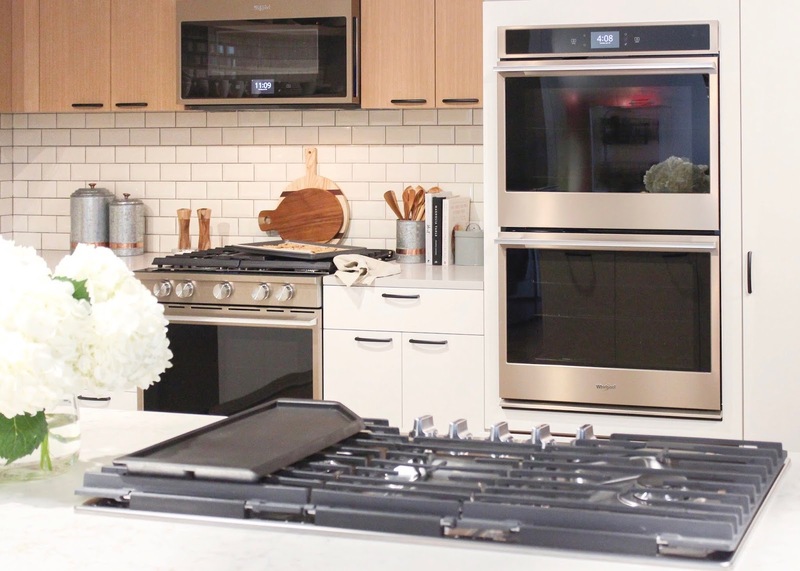 At the same time Whirlpool doesn't want to sacrifice anything appearance wise so their appliances have all those modern touches that we want when it comes to the kitchen. 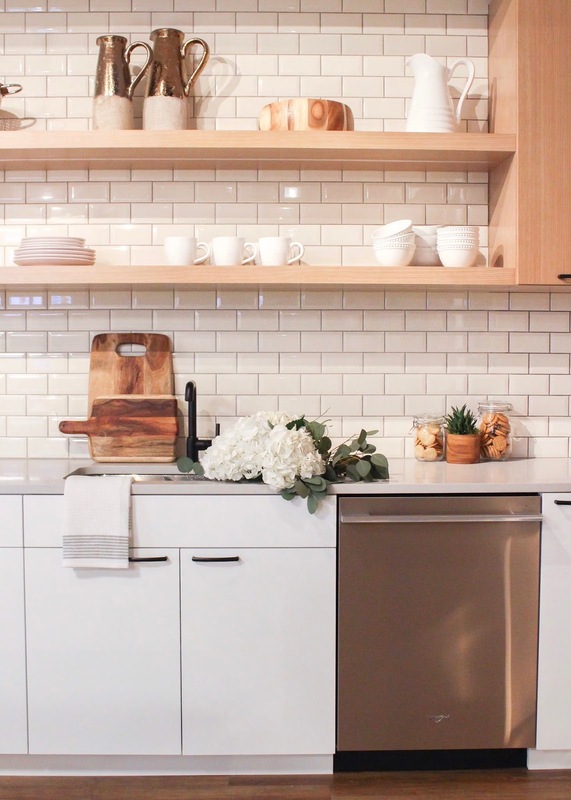 One of the new colours that really stood out to me is the Sunset Bronze, it's such a soft copper tone that blends beautifully with different tones of cabinetry, flooring and back-spashes. This is a great appliance colour for the client the is looking for something a bit different then your classic stainless but still wants that subtle, cohesive colour that is going to blend with the rest of the home. I love the modern handle on the appliances because it feels a little more special the your simple pull. 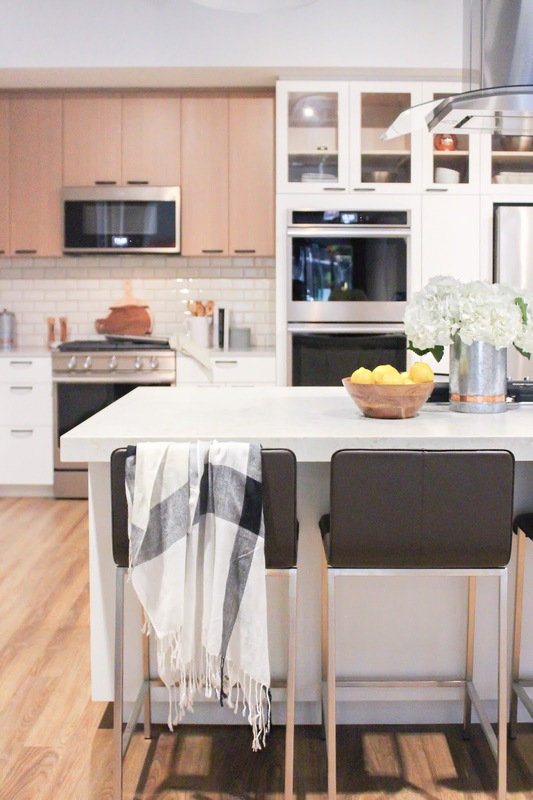 You can see it pictured in this gorgeous kitchen that I had the privilege of styling and how effortlessly these appliances blend with the wood and white tones. 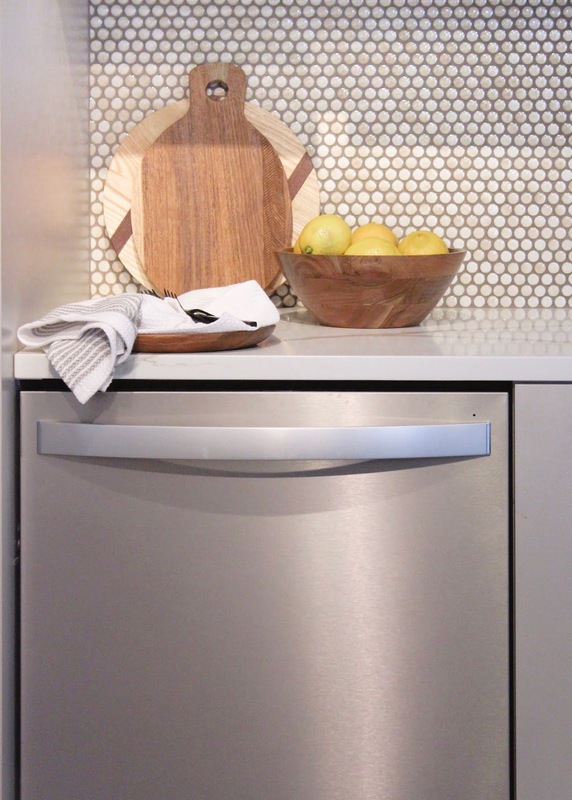 And can I just say that one of the best features is that all of their appliances are available in finger print resistant stainless steel! No more messy appliances from little fingers. This is always something I look for or refer to clients because if you have little ones it's an amazing feature to get. Less cleaning for you! 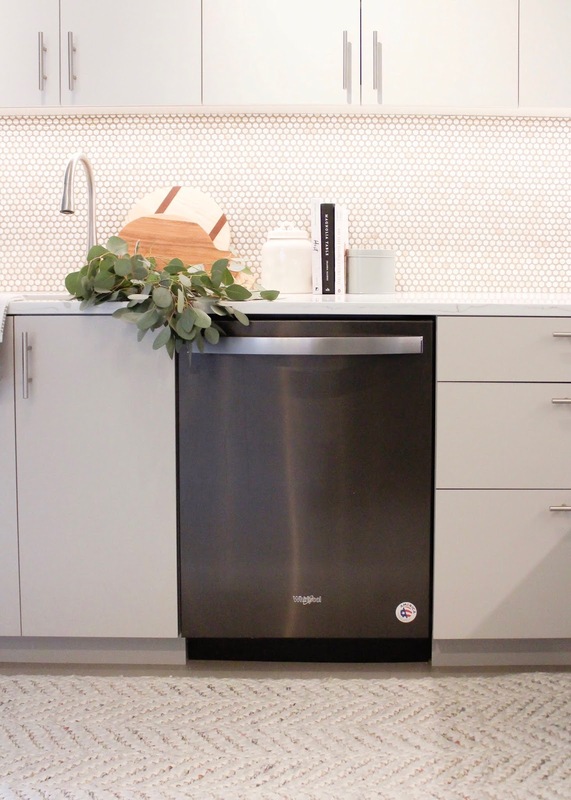 I also really love the classic stainless steel because it of course it has a timeless element to it where it has been on the market for so long however, I love how Whirlpool has updated the look with some fresh handles and silhouettes. 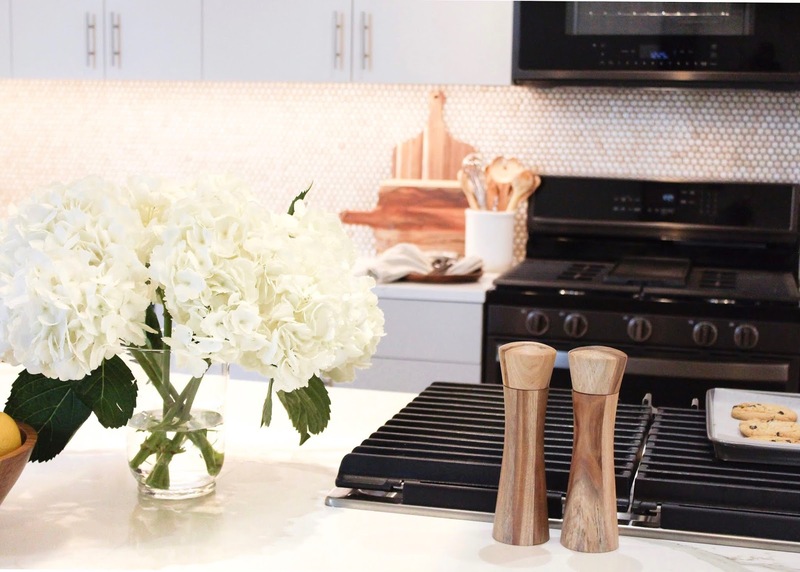 I would suggest going for the classic stainless steel if you want to keep things feeling more neutral in your kitchen and aren't looking for something that is going to draw the eye too much. Something I found so cool and thought was an amazing feature to have in an appliance is that they are wifi enabled so you can control things like your oven without having to actually be at your oven. Say what? Yeah I know pretty much the best mom hack of life. You simply download the app and connect it to your appliance and you can preheat and control your settings right from your phone! We got to play around with this feature in the showroom and it was really simple and straight froward to use. It can even remember recipes you set so for those standard weekly meals you always cook your oven will know exactly what to do with the click of a button! The black stainless steel is also a really sharp look and adds such a nice contrast with lighter cabinetry. I would recommend this to the client that is really wanting a stand out appliance colour that it going to bring some depth and contrast to their space. 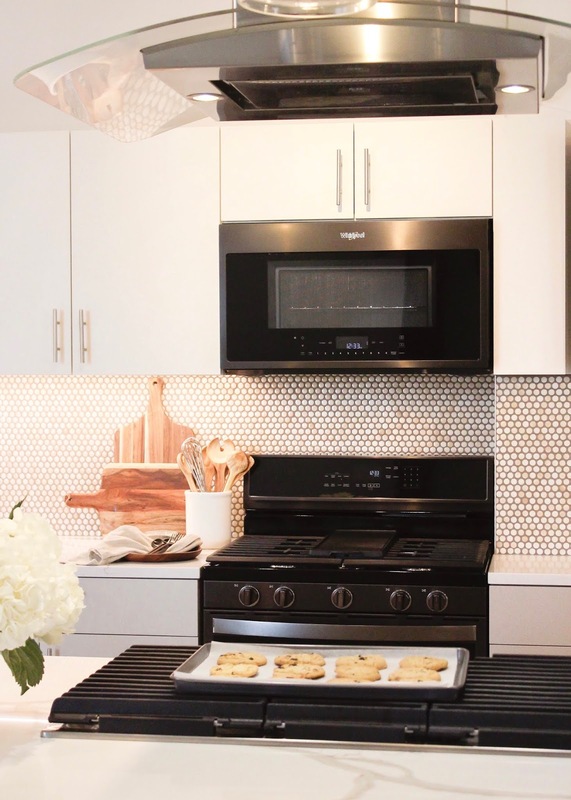 The black is a great look with white cabinets and really gives you that high impact in the kitchen. This post is sponsored by Whirlpool Canada however all opinions expressed are my own. Thank you for supporting this blog and the brands I choose to work with. I like the app option for the appliances! They are wifi enabled? That sounds amazing! Thank you for sharing!